My name is Raisa Khachatryan. I have been coordinating the activities of the Women’s Resource Center of Solak community since its establishment in 2011 by the “Armenian Women for Health and Healthy Environment” (AWHHE) NGO. AWHHE has significantly contributed to sustainable agricultural development and production of ecologically clean agricultural products. I can proudly say that we have achieved considerable success thanks to the efficient and joint work. 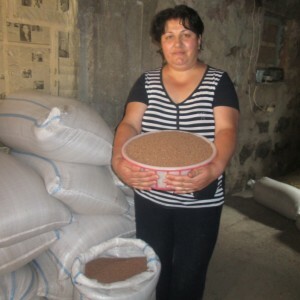 In 2016, I received a proposal from AWHHE to start and expand the local small-size red lentil production in Solak, sponsored by the Honorable Dr. Anahit Shirinyan – Orlando. I would like to extend my deepest gratitude to Dr. Shirinyan-Orlando, Dr. Elena Manvelyan and AWHHE staff for the implementation of such effective and sustainable programs. 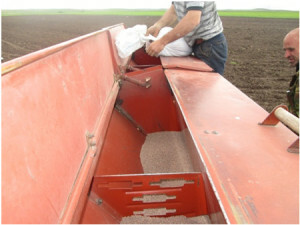 Having purchased 100 kg of lentil seed, I prepared one hectare of land for sowing. 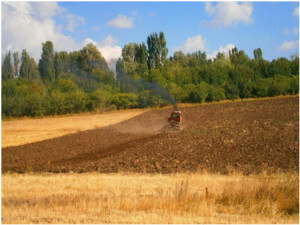 Prior to sowing of lentil, the soil was plowed, loosened and fertilized. After sowing, the soil was smoothed. The sowing of lentil was done on May 5, the vegetative growth stage lasted 3 months, and harvesting was conducted on August 10. It’s worth mentioning, that the soil was fertilized with organic fertilizer “Organomix” produced by the “ORWACO” Armenian-Norwegian Joint Venture. As a result, I got a pretty good crop, for which I would like to extend my sincerest thanks to Eric and Lusine. 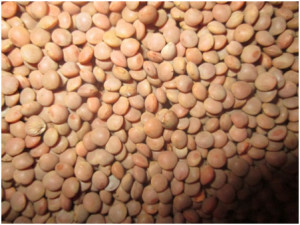 I have harvested 700 kg of high quality lentil, which can be sold both as food product and seed. 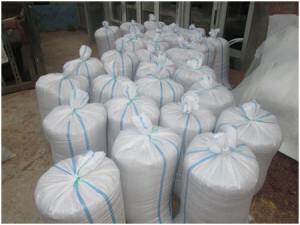 I have stored 300 kg of lentil for next year to expand the sowing areas and increase production. I have the intention to provide 100 kg of lentil to my fellow villager so that he can sow it and gain income, and then he will give 100 kg of lentil to another farmer for planting the next year. In this way, the local lentil production, which has been our grandfathers’ occupation and the only source of income, will be boosted. 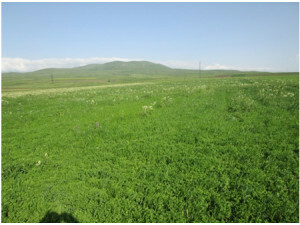 Solak community has always been known in the region for its wide variety of legumes production. Legumes have always been in great demand due to their good quality and taste. The community has 1000 hectares of arable land. Today the trend towards the increase of lentil production seems to have gained new momentum in the community. It would be good to have a greater capacity combine, through which we could expand the lentil production and, as soon as sales problems become solvable, more than half of the arable land (500-600 hectares) could be used for growing lentils. Thank you, good people, may God bless you.